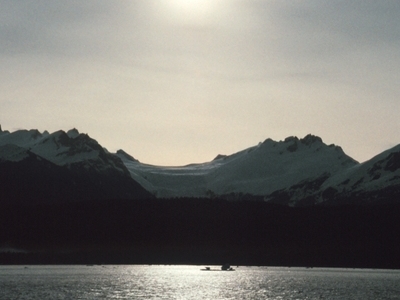 Lynn Canal is an inlet (not an artificial canal) into the mainland of southeast Alaska. Lynn Canal runs about 90 miles (140 km) from the inlets of the Chilkat River south to Chatham Strait and Stephens Passage. At over 2,000 feet (610 m) in depth, Lynn Canal is the deepest fjord in North America and one of the deepest and longest in the World as well. The northern portion of the canal braids into the respective Chilkat, Chilkoot, and Taiya Inlets. Lynn Canal was explored by Joseph Whidbey in 1794 and named by George Vancouver for his birthplace, King's Lynn, Norfolk, England. Here's the our members favorite photos of "Canals in Alaska". 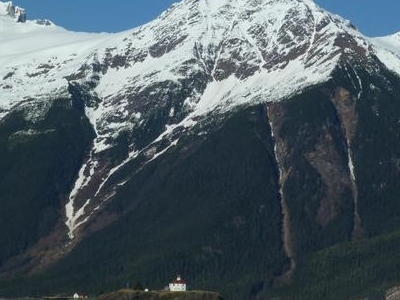 Upload your photo of Lynn Canal!